Over the years I have heard it over and over again, preachers who wear 30 hour sermon prep time as a badge of honor. If that is what you do and that works for you okay that is great, but I challenge you to not look at long hours in sermon prep as a thing to be proud about. The more hours we spend in sermon prep the less time we can spend at prayer for the church and our community, casting vision, discipling, and encouraging staff, volunteers, and those around us. 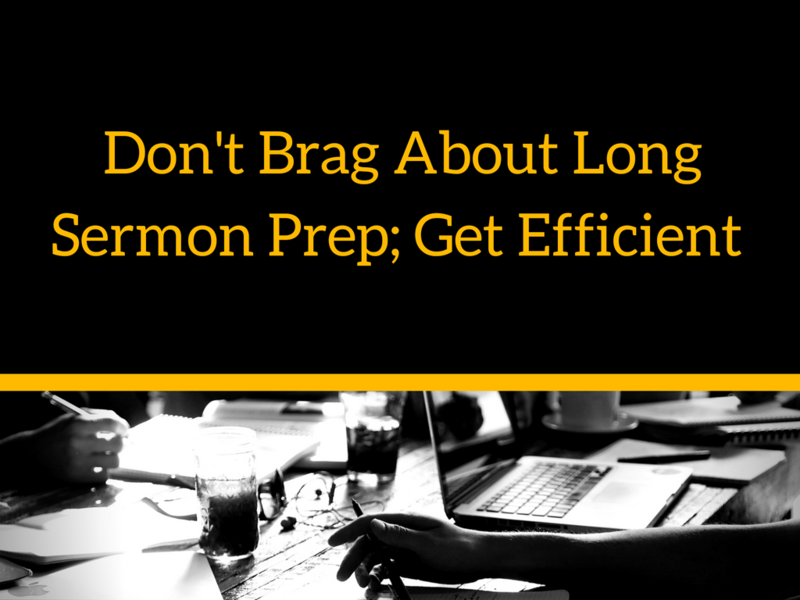 Of course we are all different and will take different amount of time to write a sermon but we need to focus on becoming more efficient at sermon prep. In my own sermon prep this has become integral to shaving hours off of the time I spend studying and writing. Whenever is the best for you set aside some time that is non-negotiable expect for in the case of an emergency. This is related to the first point. If you are doing other things while doing your sermon prep it is going to slow you down and make you less efficient. Do not read and answer emails, check social media, have informal meetings, or anything else that will distract the process and leave you with an empty page. I would challenge you to silent your cell phone as well. We all should have a place we compile potential sermon illustrations. Brandon showed me a way to do this in Evernote and it has been such a blessing in becoming more efficient. Check it out here. If you are not going to use something like Evernote make sure whatever you use is easy to search and separated by potential applications or topics. 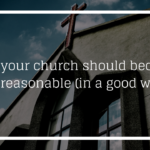 Here at RookiePreacher we are big proponents of the one point sermon popularized in recent pastoral circles by Andy Stanley. If you are streamlining to one point I have found it makes my whole process more efficient. Also, we need to develop solid outlines to focus our writing Here is a good resource on upping your outline game. Let us know your thoughts in the comments below or on social media (Twitter | Facebook Group | Facebook Page).